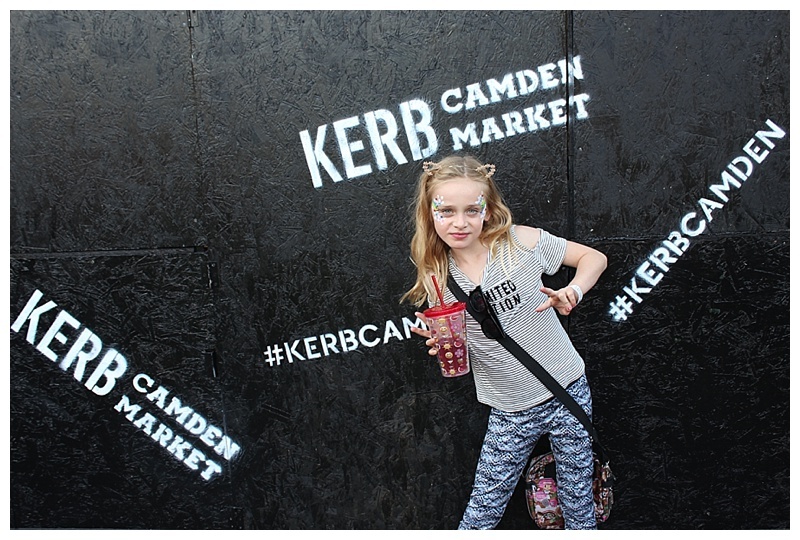 Kerb Camden, as the name suggests, is based in the world-renown Camden Market. 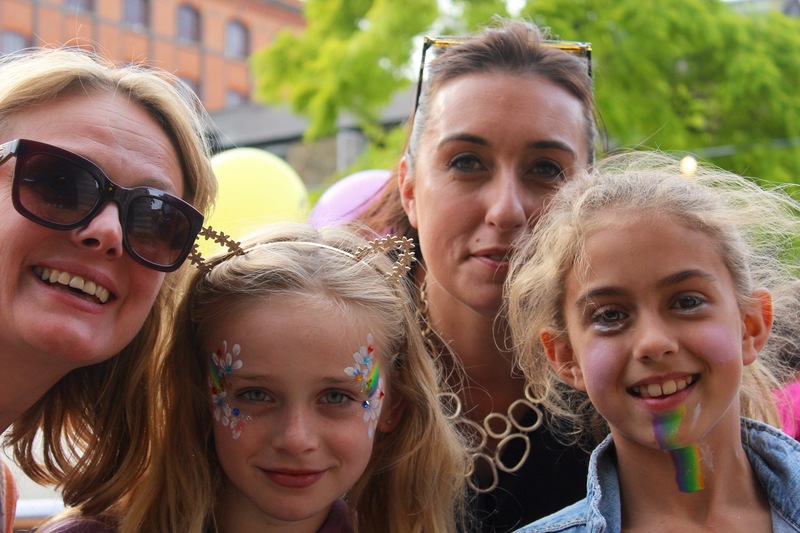 Even taking children up to Camden is an experience -it’s loud, colourful and at times a little daunting. 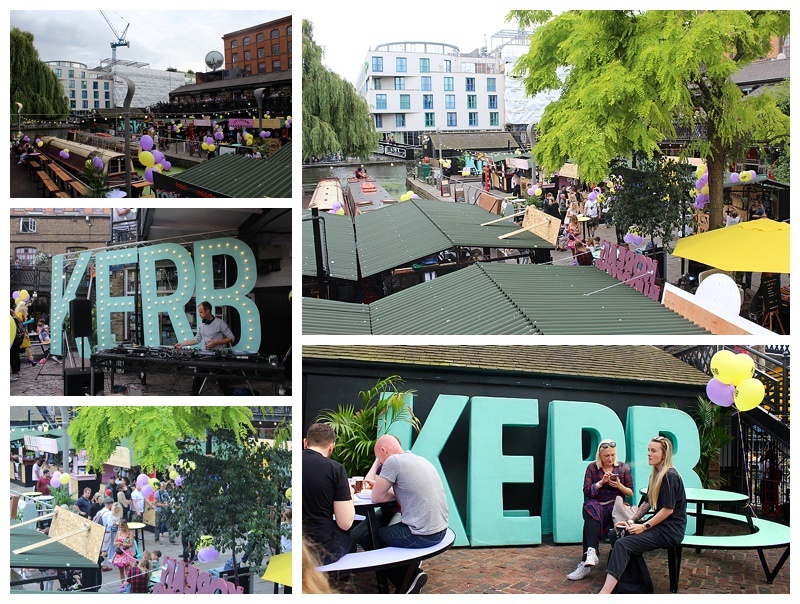 Thankfully, Kerb Camden is tucked into a quieter quarter of Camden Market, right next to the canal: It’s a really lovely spot. Added to that, it just looks so great with its colourful tables and illuminated KERB signs – you feel like you are hanging out somewhere pretty cool. 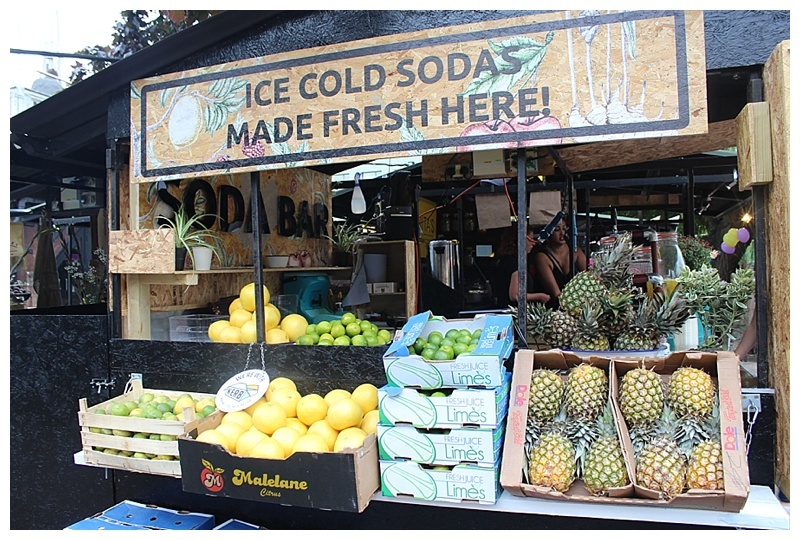 The market has over 35 different food stalls- you’d be hard pushed not to satisfy everyone’s needs. 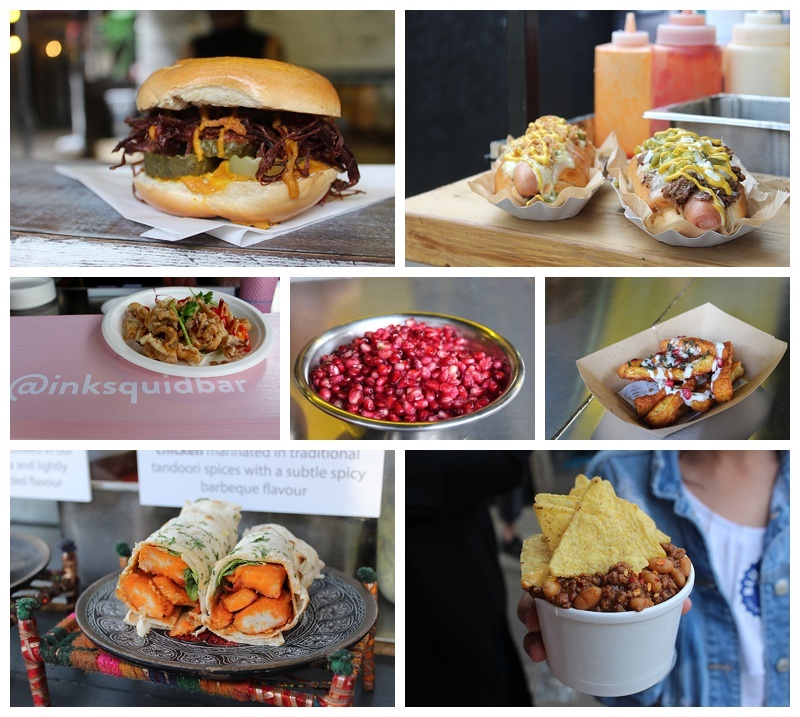 From stone baked pizza to vietnamese summer rolls to toasties, it’s all here. The portions are smaller than that of a normal takeout, but the idea being you may sample 5/6 different places as a family. While we were there the children had the pizza (massive thumbs ups), whilst I tried the Squid from Ink which was divine, and the hallumi fries. A new one on me too, but I can confirm they are my new favourite fry, especially with fresh pomegranate seeds sprinkled on top. The kids topped up with ice cream and cupcakes and the most delicious fresh lemonade, whilst I decided to try a couple of gin-based drinks from the bar (purely for review purposes, you understand). 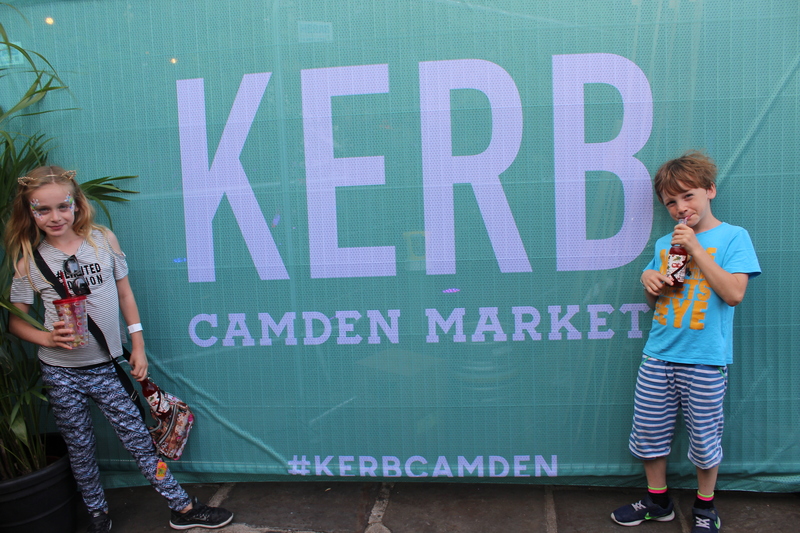 Kerb Camden’s position works perfectly for families: It is positioned by Regent’s Canal and its brilliant towpath. 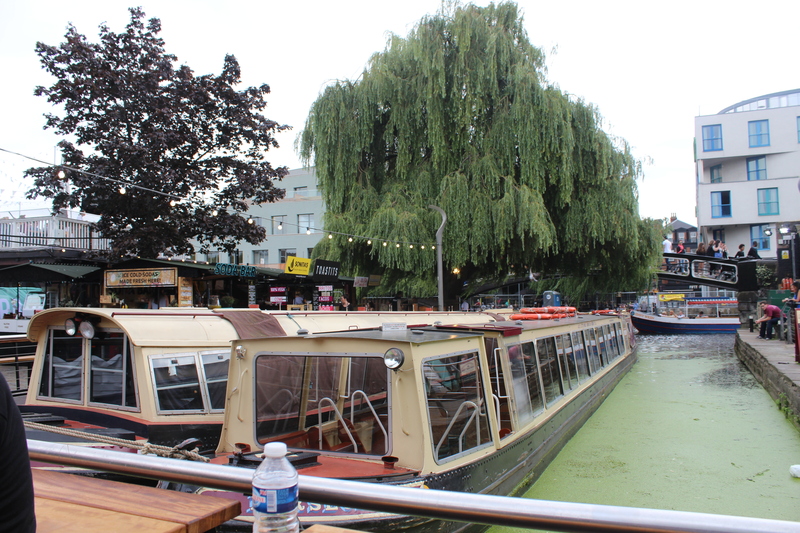 From Kerb Camden you can easily reach Little Venice and the colourful narrowboats, London Zoo and Regents Park either by walking or jumping on one of the water busses that operate there. 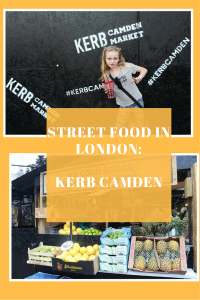 Street Food is a what all the cool kids are eating at the moment, so get yourself and your family down to Kerb Camden and tantalise those taste buds. Disclaimer: We were invited to the press opening evening, but all opinions and images are my own.